Sorry to say we don’t allow dogs inside the café but we do have some outside seating where we can serve both food and drinks. We serve breakfast, lunch and a range of cakes as well as ever changing chef’s specials on our chalkboard. We also have a children’s menu for our smaller customers! Hi everyone! Our names are Bruce and Luke, nice to meet you! 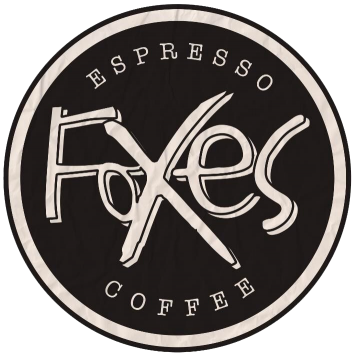 We took over Foxes Café in September 2011 and it’s been an exciting ride ever since. Foxes is located on the cobbled Abbey Street in the historic quarter of Carlisle. We are nestled between Carlisle Cathedral at the top of the street, Carlisle Castle at the bottom and Tullie House Museum right in the middle. We’re proud to be surrounded by so much of the history of our great city. Our café has had some changes over the years but through it all we’ve set ourselves up to be warm, welcoming, friendly and genuine. We serve decadent breakfasts (with a few healthy options thrown in too) with our American-style pancake stacks, filled omelettes and classic full English fry-ups fully able to set you up for the day. Or, if you’re coming in for lunch, we have a wide range of sandwiches, toasted wraps, piled-high salads and loaded burgers to tickle your taste buds. What’s more, if you’re on the go, we can do all this to take away! Now, to the really important bit; the coffee. After a couple years of running Foxes, we thought to ourselves, “This coffee game sounds like a lark…shall we buy a roaster?” And so we did. And so began Bruce and Luke’s Coffee! At first we were roasting beans just to supply our own café but then somebody else liked it…and they told two friends…and they told two friends…and before we knew it Bruce and Luke’s became an award-winning coffee brand, served in over 150 bars, cafes and restaurants around Cumbria and further afield. That’s not to mention that being sold for home brewing in retail outlets such as Cranston’s food Hall, Tebay services and, of course, Foxes Café. If you want to find out more about the Bruce and Luke’s Coffee journey, visit bruceandlukes.com. But home is where the heart is and Foxes will always be our first love. Although you won’t see us behind the bar much these days, our dedicated team are there for you. We were mega chuffed to be nominated for Carlisle Living’s ‘Best Place to Work’ award in 2016 and that is down to our fantastic staff loving Foxes Café as much as we do! So, whether you’re after a hearty breakfast, a working lunch, coffee and cake with friends or just a takeaway coffee on your way into town, Foxes Café is right here for you. It's such a cozy little place, with excellent foods and even better service. Nothing is too much trouble. Friendly busy cafe. Fantastic menu. My friend had a cafetière of freshly made coffee which came with a timer to make sure it was brewed to perfection. Scrummy food and super staff.